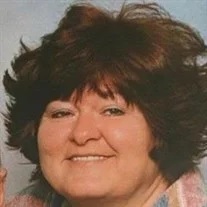 Stephanie Day Liles Poarch, 62, of Chattanooga, passed away on Saturday, March 16, 2019. She was born in Chicago, Il. to the late Edmond "Nub" and Beatrice Prince Day. She was a former employee of Chattem Chemical and Chattanooga Boiler and Tank, both in Chattanooga. She was a longtime resident of LaFayette and of the Church of God faith. She enjoyed studying genealogy, working in technology and spending time with her family, especially her grandchildren. She loved listening music, in her words, “from nose twanging to head banging,” especially her favorite: Elvis Presley. Along with her parents, she is preceded in death by her husband, Laddie Poarch; sister, Linda Gail Day; and grandson, Josiah Poarch. She is survived by her children, Jaime (J.P. Rosinski) Mullins, of Greenville, SC, Jeremy (Amy) Poarch, Jonathan (Beth) Poarch and Tara Hays, all of Chattanooga; brothers, Randall Day and Kevin Day, both of LaFayette; several grandchildren; one great-grandchild; and several nieces and nephews. The family will receive friends from 4-6 p.m. on Thursday, March 21, with a celebration of life service to follow at 6 p.m. in the chapel. Arrangements by Wilson Funeral Homes – LaFayette Chapel. Online guestbook at www.wilsonfuneralhome.com.